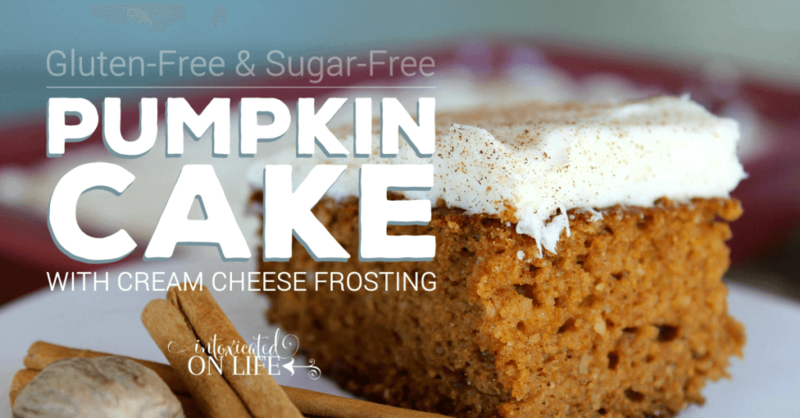 As I sit here eating a piece (alright, more like a piece and a half) of gluten-free pumpkin cake with cream cheese frosting, I realize that it would just be cruel of me not to share this delight of a recipe that I recently made up with the great wide world. Often times I don’t write down ingredients and amounts in my experimental kitchen cooking, but since I’ve started blogging, I have been trying to remember to write things down and keep better track just in case I stumble upon a really good recipe. It also helps in an instance where I might want to repeat a recipe for myself too! I’ve also included a dairy-free version of this pumpkin cake with cream cheese frosting for my friends who can’t do dairy. Of course, if you’re looking for some more tasty desserts that are grain free and gluten free, make sure to check out my cookbook of cookie recipes! Preheat the oven to 350 and grease a 9x13 pan with butter. Beat together butter, pumpkin, xylitol, stevia, eggs, and vanilla. In a separate bowl, mix together the remaining dry ingredients. Add the dry ingredients to the wet ingredients and mix thoroughly. Pour batter into your greased 9x13 pan and bake for 40-50 minutes. While cake is baking, beat together the softened cream cheese and butter. Add the vanilla, stevia, and xylitol and beat until creamy. After the cake has cooled, frost with cream cheese frosting. If you don't devour all of it the day you make it, be sure to store in in the refrigerator. *If you're unable to eat dairy, substitute melted coconut oil in place of the butter in the cake and skip the frosting. The frosting is good, but it's still a very tasty cake without it! These may vary slightly depending on brands that are used. *Please Note: The xylitol is counted towards the total carbohydrate count as it is a “sugar alcohol” but because it’s not fully digested it has little to no impact on the blood sugar of most individuals. For this reason, the fiber and sugar alcohols are deducted from to total carbohydrate count to come up with the net effective carbs. Each individual needs to determine how their own bodies respond to sugar alcohol and fiber carbs. You can read more about xylitol here. I’m drooling over this. I’m so happy you posted it. My husband recently found out he’s gluten intolerant – as well as allergic to eggs and soy AND has candida (which means he needs to cut out the sugar). I love that your recipe uses xylitol and stevia. I can totally make this for him. I’m pinning it now. Yikes! That’s a lot of allergies to deal with! I hope you and your husband enjoy the recipe, I don’t think you’ll be disappointed! Tracy, if your husband is allergic to eggs, how can he eat this cake which has 8 eggs in it? I have a granddaughter who is allergic to eggs, and she’s not supposed to have cake with even one egg in it. My guess is she uses some type of egg substitute. There are a number of ways you can sub out the eggs. Tracey, what did you replace the 8 eggs with? I’m very good w/ egg replacements w/ max 2 eggs when baking, but have never attempted this many. My son has 17 food allergies & egg counts as 2. (white & yolk) My blood work revealed eggs cause inflammation within my body, not full blown allergic. Thanks for linking to my recipe 🙂 I appreciate it! Would this work with coconut/palm sugar instead of xylitol? My digestive system does not like xylitol! Yes, you should be able to substitute it out 1:1. Erythritol is a good option for those who have trouble with xylitol too, but you have to use a bit more. If using Erythritol instead of xylitol, how much do you suggest for the cake and the frosting? I’m new to this and too scared to guess! Oh my gosh. I could eat this right off the SCREEN!!!!! Get in my belly. Beautiful and most delicious looking cake!! Sounds like you better get to the kitchen and make a cake then! 🙂 I think it’s about time for one of them at my house too! This is being featured today…congratulations! 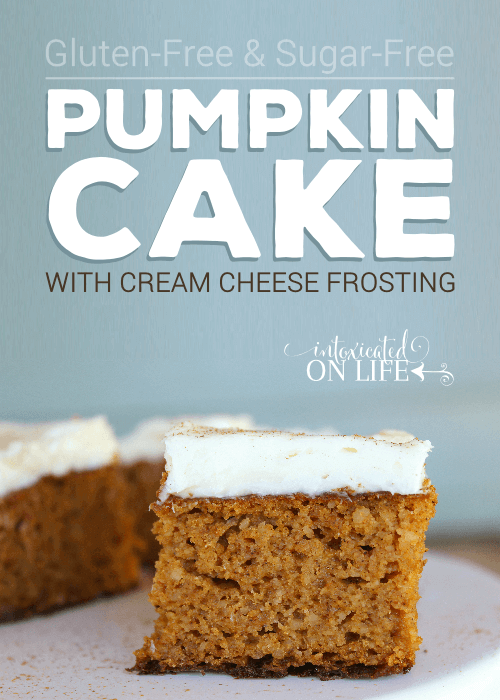 Your Pumpkin Cake with Cream Cheese looks delicious! Thank you so much for sharing with Full Plate Thursday and have a fun weekend! Can you subsitutute something else besides Erythritol and xylitol? Like add more truvia or stevia? Thanks! What can I use instead of the xylitol? I’m not able to tolerate any of the “tol” artificial sweeteners. You can use sugar or any sweetener of choice. Can you use regular sugar instead of the sugar substitues? Sorry, just saw the answer to my question from someone else. I’m allergic to coconut. What can I use in place of this flour and or oils in your receipe. You could use more almond flour, but you’ll have to use more than 1/2 cup. Coconut flour absorbs a lot more moisture than almond flour. I’m not quite sure about how much you should use. I would probably go by the consistency of the batter as you’re making it. Just baked this in muffin tins. I haven’t iced them yet but stole a bite! 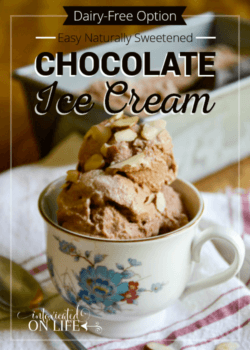 If you had any reservations about trying this recipe -DO IT! A-maz-ing-ness!!!! Visiting from Link Party Palooza. I love how light and fluffy this cake is, great use of spices. I co-host Sweet and Savoury Sunday and would love for you to stop by and share this and other recipes with us. Have a great day! I made Pumpkin cupcakes last week, yum yum good, thanks for sharing this with us at the #WWDParty. I made this recipe tonight . It is to. die. for! Only tweaks I made was 1 T. pumpkin pie spice instead of the nutmeg, cinnamon, ginger, cloves . I also used 1 cup of powdered Swerve in the frosting instead of xylitol . I just found this recipe!! Thank you pinterest. But I don’t keep xylitol around the house since it is extremely toxic to dogs… would splenda work as well? I can’t wait to try this. No, I wouldn’t use Splenda. But, erythritol would be a good substitute. I’d use a little bit more though. Erythritol isn’t quite as sweet as xylitol. Hi! Can’t wait to try this today! Any idea how many servings and what the carb count is or how I can figure that out? this looks amazing! i didnt know u could eat like this on low carb! idk if i missed it somewhere, but whats the carb content in a serving? Thanks for popping in! I haven’t figure it out. I’m not one who counts every carb, but I know some people need to. Since there seems to be so many people who are wanting the carb count, I’ll be sure to work on that tonight and get it up here. So, stop back tonight or tomorrow for the low-down! Would anyone happen to know the net carb counts for the whole recipe? Thanks … looking forward to making this one soon! If you don’t need it today, I’ll try to get it to you. Planning to try to get the numbers later on tonight so they’ll be available for you tomorrow. Do you ever give the nutrition information? Just wondering, our son was diagnosed with type 1 diabetes and I’m looking for ideas that are mostly grain free and sugar free. On day two of a keto fat fast, but plan to make this for our Thanksgiving dessert table – if I can wait that long – it looks scrumptious! Love your blog, BTW. I have tried many pumpkin recipes, this is by far the most moist and tasty. I’m a big fan of pumpkin roll. I am currently experimenting with the cake cooling in the fridge now. I’m feeling pretty confident as it rolled just like the unhealthy nasty pumpkin rolls of my past. Hi! Just wondering what brand of almond flour and coconut flour you use. I made this tonight. The flavor is great, but my texture doesn’t look the same as your picture. Mine is very dense. I used Bob’s almond and coconut flour. After trying several brands of Almond flour, I always go back to using Honeyville Almond flour. I can’t get the texture of my baked goods right with other brands. I don’t use any particular brand of coconut flour though. I just updated the photo tonight. I made the cake again and was able to get a decent photo. I’m guessing your cake looked more like this current picture. Sometimes if I can’t get a good image, I’ll try to find a stock-photo I can purchase that looks as much like my recipe as I can (though usually not exact) until I’m able to update with a picture of my own. Hope that helps! This looks so delicious! Do you think this recipe will work if I cut it in half? Can I replace the stick of butter for coconut oil? You can definitely replace coconut oil for butter in the cake, but I don’t know how it would work in the frosting. If you try it, be sure to let us know how it turns out! I made this last night to bring to work for a co-workers birthday, she is like me, low carb and gluten free! there were 3 other ladies at the gathering that are happy eating the SAD diet. They could not believe that this was gluten & sugar free! This cake is FABULOUS!!!! moist and delicious! Thank You! P.S. I used Swerve for the cake and saved my last bit of Xylitol for the icing, worked perfect! I actually just updated the photo tonight. I just recently made the cake again and was able to get a decent photo. I’m guessing your cake looked more like this picture, right? 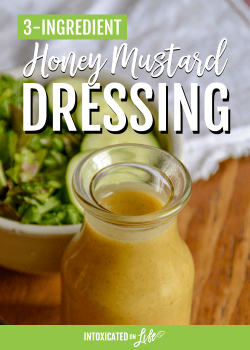 Sometimes if I can’t get a good image, I’ll try to find a stock-photo I can purchase that looks as much like my recipe as I can (though usually not exact) until I’m able to update with a picture of my own. Hope that clarifies things! Thank you, yes that one looks just like mine. I don’t have xylitol so I subbed in 1 1/3 cup erythritol instead. I baked the cupcakes for ~35 minutes. They are amazing! not sure if anyone asked this yet…is there anyway to adapt it to leave out the nut flour? thanks! I haven’t baked with it myself, but sunflower seed flour is getting to be a popular choice. This was very delicious. Thank you for such a good recipe!!!!!! This was eaten as breakfast the next day, afternoon snack, and dessert again the following night! I will definitely be making these again. What happens if my daughter is allergic to nuts. Will the almond flour not cause an allergy? I need to know this before attempting this lovely cake. this was excellent. even my mother liked it. my diabetic mother with heart disease. :-)) now that is a success. I did use only 3/4 c of xylitol and 1/4 t stevia in the cake. I cut the xylitol in frosting also but not by much and no stevia in frosting. I cut the stevia because I was afraid my stevia had expired. I accidentally used only 1 c of almond flour. Awesome! I’m glad you found something your mom could eat and enjoy :). 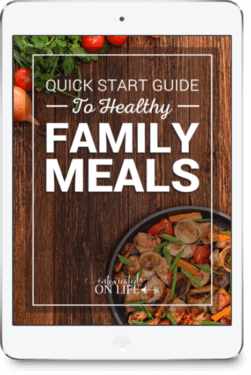 I am a Type 1 diabetic and have decided to try low-carb to help stabilize my blood sugar levels. 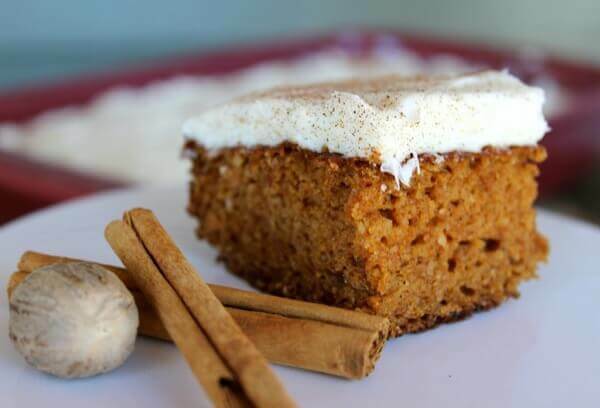 I’ve tried many low-carb muffin/cake recipes and your pumpkin cake is by far the best. Even my skinny 17-year-old daughter loves it and asked me to make it into muffins for her lunches. Thank you for making my new low-carb journey a little easier! Hi, I just came across your recipe and it looks so delicious. I am wondering if the batter is enough to make a normal sized bundt cake with rather than the single layer 9 x 13. And I would think the cream cheese frosting some to make more of a drizzle over the bundt cake. I’d like to make it to bring to Christmas dinner at my sister’s house so if you could answer quickly I’d appreciate it very much. I’m guessing this would work well as a bundt cake, but I’ve not tried it out so I can’t speak from experience. It would likely go nice with a nice glaze, but the cream cheese frosting probably wouldn’t be what you’re looking for. Can you substitute something for xylitol?? I have dogs and will not have that in my house as it is far to toxic. 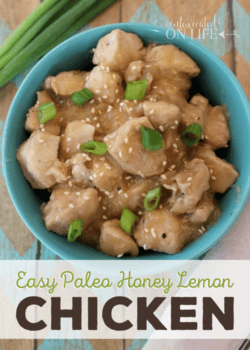 We have recently started a diet (everyone here at home) and my brothers birthday was coming up and my now go-to search includes the word PALEO lol…… Always looking for good sugar free recipes and that are pretty close to our new lifestyle. How many servings did you calculate for this cake? Also, Do you think that the almond flour could be substituted with wheat flour? Almond flour contains much more calories! lol….. just noticed…. 15 servings!!!!! I do still wonder about replacing the Almond flour with Wheat flour!!! Hi, I made this for myself, but I brought most of it to work so because I think I would have eaten the whole thing by myself. The ladies at work couldn’t believe this was gluten and sugar free. I’m home visiting my family and I made it for them too. No one would believe that is was actually sugar free. Thank you for the wonderful recipe. It’s become one of my favorites now. Delicious! Thanks for another tasty pumpkin recipe. How much frosting is per serving? Well, it would be 1/15th of the frosting. Appreciate the tip on creating powdered sweetener. Brilliant. I made this and have to say I’m not a fan of xylitol. I will try it again with Erythritol. If I’m doubling this recipe, do I really use 16 eggs? or would it need less? Any other tips for the other ingredients? Thank you so much! I’ve not doubled it myself, but yes I think if you double it you should double ALL the ingredients! 🙂 Hope it turns out tasty for you! Is it possible to use eyrthritol instead of xylitol? Yes, you could certainly do that, but I’d increase the erythritol a bit since it’s not quite as sweet as xylitol. Typically I use 1 1/4 cup of erythritol per 1 cup of xyltiol (but this can vary a bit from recipe to recipe). I made this today for guests who came over and it was my first time trying this recipe (I know you shouldn’t try new recipes for guests, but…). This cake was delicious! Moist and light and the frosting is awesome! I love nuts so the only thing I might change next time is to add some nuts but otherwise this recipe is perfection! My guests had seconds and even asked if they could take some home. They had no idea it was made from almond flour and coconut flour. Nuts is a fantastic idea! I think some toasted walnuts or pecan might just take it up one more notch 😉 good thinking! Best low carb cake!!!! So moist!!! This is a keeper!!! Followed the recipe as written.